So I've had this pair of shorts from H&M for a while now. I loved it so much, I wanted to wear it all the time while I was at Koh Phi Phi. Too bad one evening, I accidentally got some massage grease on it and the stain has been there since (that stuff is heavy). It'll be quite a pity to put such a nice pair of pants away, in spite the fact it was only a mere RM39.90. So my solution? Paint over it! Plus the watercolour effect is perfect for summer. This solution is so great and easy, I'm thinking this idea could also be great to amp up boring old t-shirts and whatnot. 2. 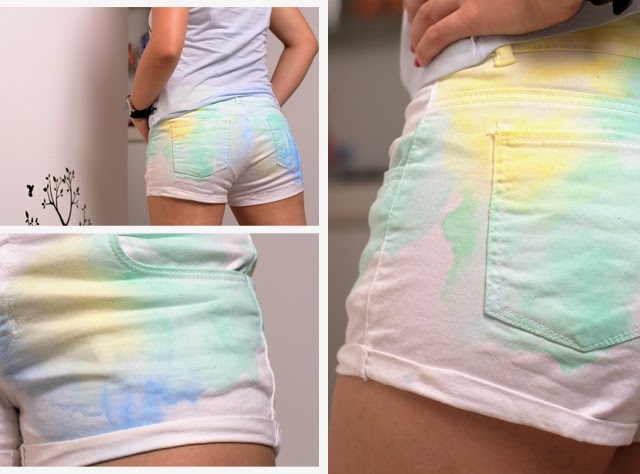 Mix some paint in a container. I added quite a bit of water to mine so that it'll spread easily on the fabric. This is to achieve the watercolour effect. 3. 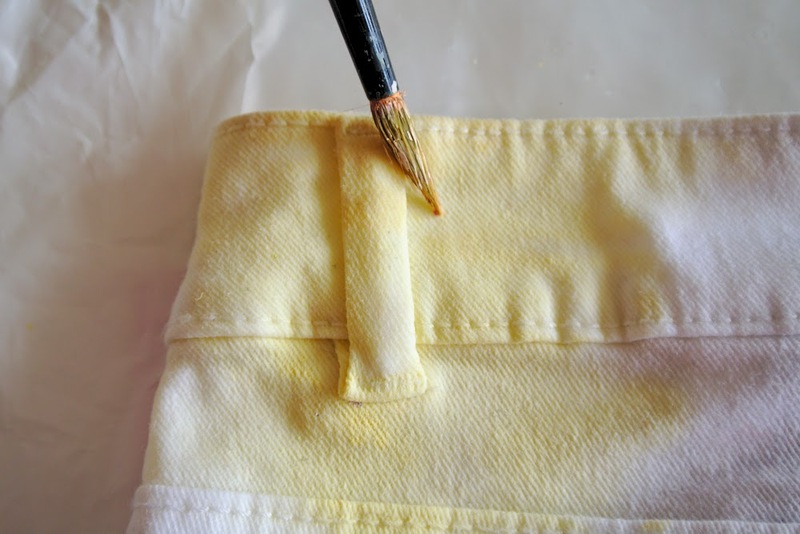 Start layering and dabbing paint onto the fabric using a brush. I added more layers to certain areas, and less in some. I wanted the design to be quite impromptu and organic. In yours, you could have predetermined patterns or designs in place. 4. 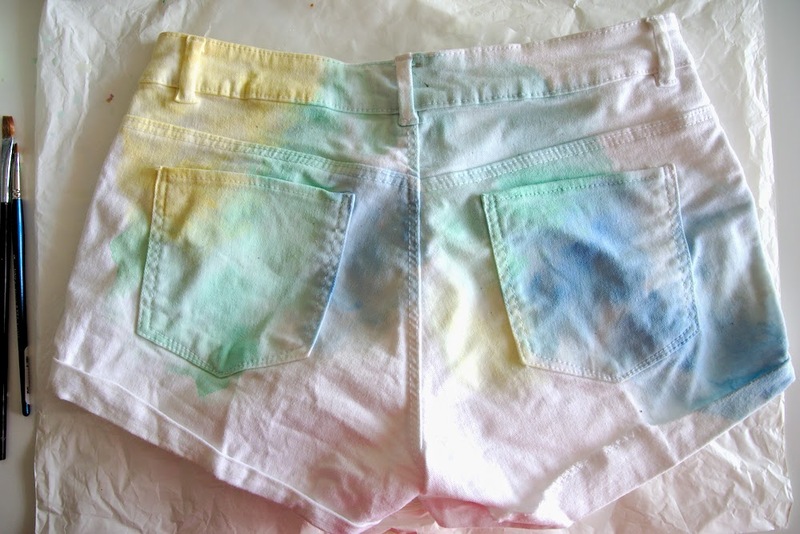 I added several other colours for this pair of shorts. This is of course, entirely up to you. 5. Leave your artwork to air dry. 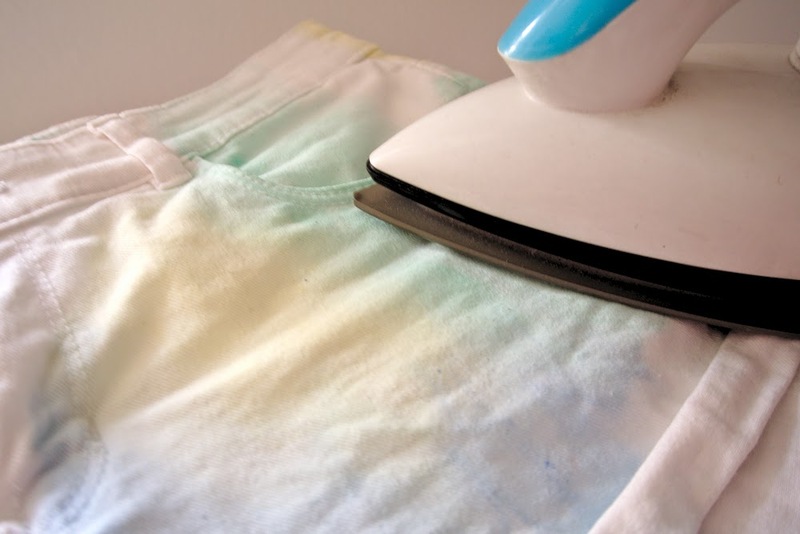 As soon as it dries, iron over with a hot iron before throwing it into the washing machine. And you're done! 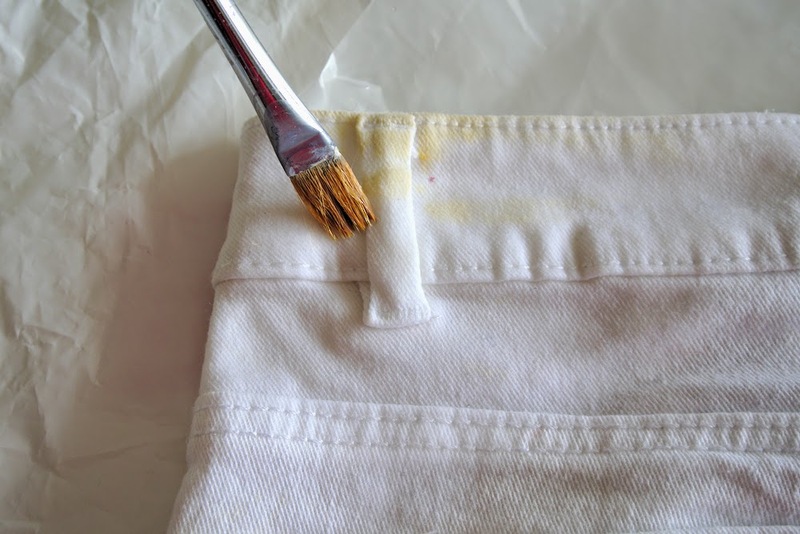 *Use textile medium to soften the paint when it dries. 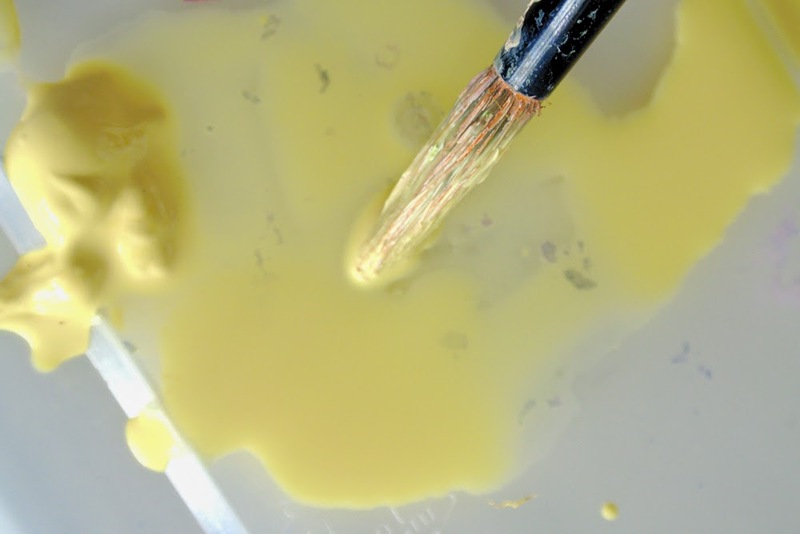 This is because acrylic paint usually dries quite stiff. The textile medium helps make it slightly less so. This is particularly important if you're going to paint over softer fabric like jersey. 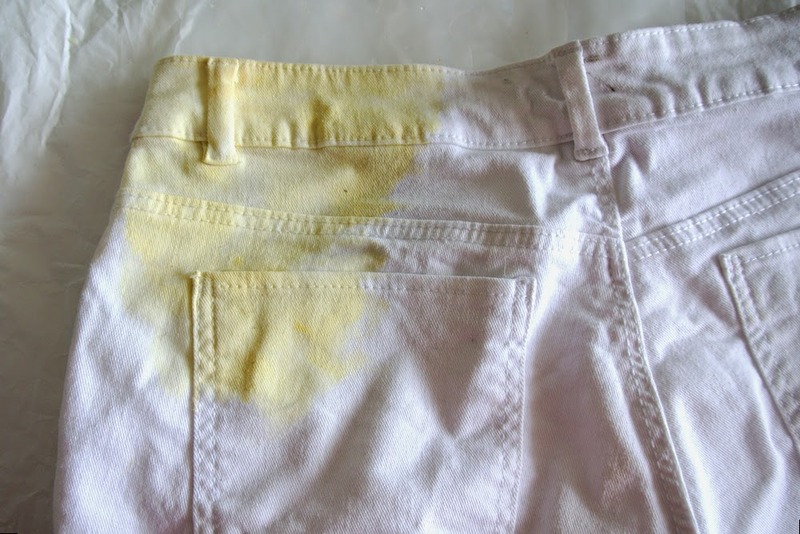 **Remember also to line your pants/tshirt/dress with plastic between sides if you want the front and back to be different in design and colour. The possibilities are endless! I can imagine painting over long pants in different colour blocks and adding colour to boring accessories like hats and things. 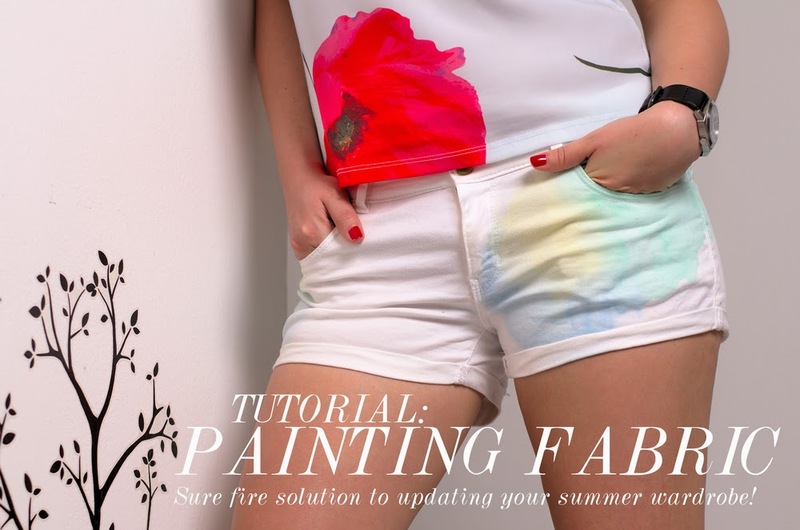 See my previous post HERE for more fabric painting inspiration. I hope you enjoyed the post, good luck!